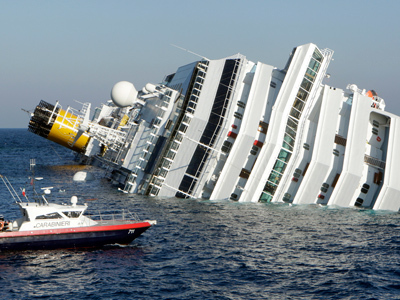 The Italian coastguard has released black-and-white footage of survivors of the shipwrecked Italian cruise liner Costa Concordia getting into lifeboats after the vessel ran aground off the coast of Tuscany last week. ­Rescue efforts continued on Tuesday as teams used controlled explosions to break into the stricken vessel in a bid to find survivors. The three explosions carried out early on Tuesday morning should allow firefighters and scuba divers better access to the parts of the ship which were not searched earlier. 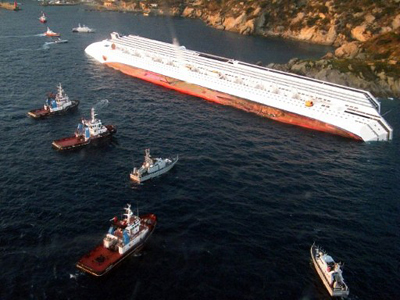 The authorities say estimates of the number missing on the huge vessel have increased to 29, while six bodies have been found, Reuters reports. 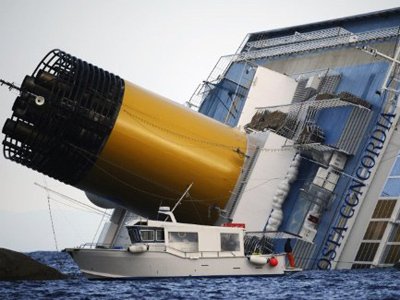 The captain of the Costa Concordia is accused of “human error” over the cruise liner crash. Some media suggest he was sailing far too close to land to salute to a friend on the island of Giglio. 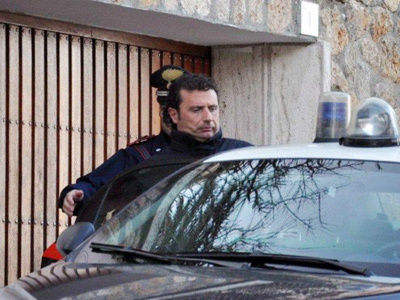 The captain Francesco Schettino's is under close investigation as he faces accusations he abandoned the vessel before ensuring all of the people aboard were safely evacuated.